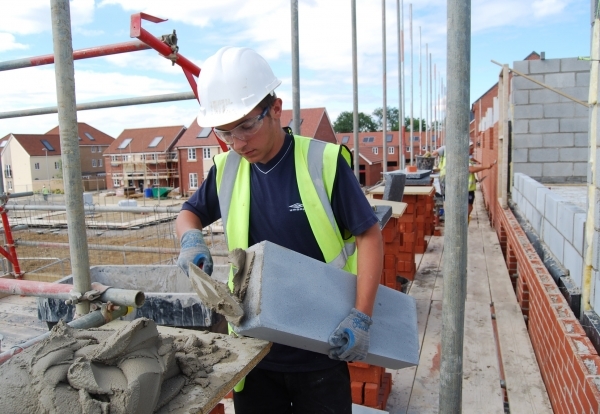 The number of UK new homes registered by NHBC fell by 2% to 151,687 last year despite Government efforts to stimulate house building. London dragged the entire UK down as registered new homes in the capital slumped by a third to 17,322 as developers eased back on schemes in the face of falling demand for luxury flats. Excluding the capital, UK registrations increased 4% compared with 2015. The still disappointing figures come as Government prepares to set out fresh plans to galvanise the industry with a Housing White Paper next week . Private sector registrations in 2016 decreased by 2% 115,689, while affordable new homes fell 5% to 35,998. Across the regions Yorkshire & Humberside led house building growth jumping 27%, followed by the South East, up 14%, and North West ahead 12% compared with 2015. In terms of house types, 2016 saw the highest number of detached homes registered in the UK since 2004, with a total of 46,118 being registered and the highest number of semi-detached since records began 30 years ago (38,999). NHBC Business Development Director Mark Jones said: “Taking into account the extraordinary events of 2016, the UK house building sector has remained resilient, despite initial caution around Brexit. We have also seen some strong regional growth outside of London.